It’s DIY time again. 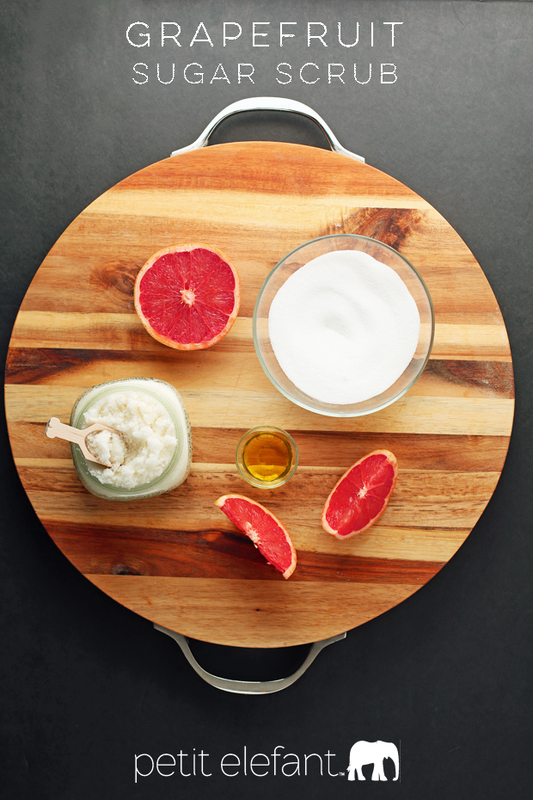 And today we’re DIY-ing some home made grapefruit bath + body sugar scrub. This stuff is scrumptious, no two ways about it. Whip it up to give to a friend, keep it next to your kitchen sink for after you wash your hands, stash it in the shower, or use it in the bath. This scrub is multipurpose and smells divine; you really want to get in on making this business for yourself. 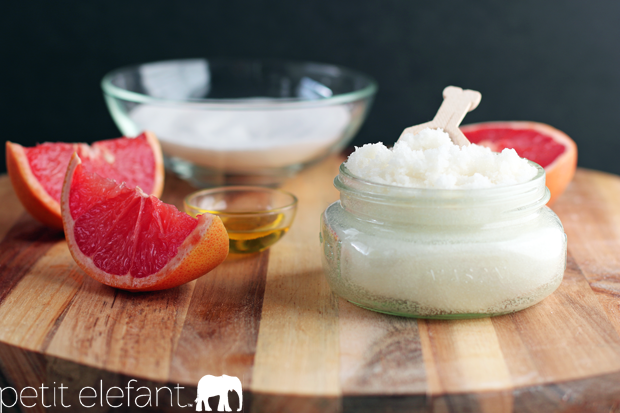 Make your own DIY grapefruit sugar scrub with only a few ingredients. 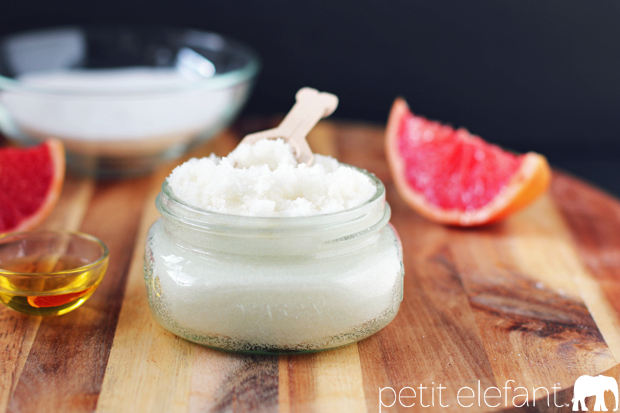 Use all over your face and body to exfoliate and moisturize with all natural ingredients! In a mixing bowl add the sugar and olive oil. Mix together sugar and oil until completely combined. Add essential oil, a few drops at a time until you're satisfied with the smell. I used about 10 drops. Mix together until totally combined. Spoon into a small mason jar or other container with a lid. Give to a friend or save for yourself. When you're ready, use the scrub by spooning a small amount into your hand and rubbing all over your skin like a lotion. Once you're satisfied with your exfoliation, rinse off. Use a towel to pat dry (don't rub! it will remove all the lovely moisturization!) and you're done. 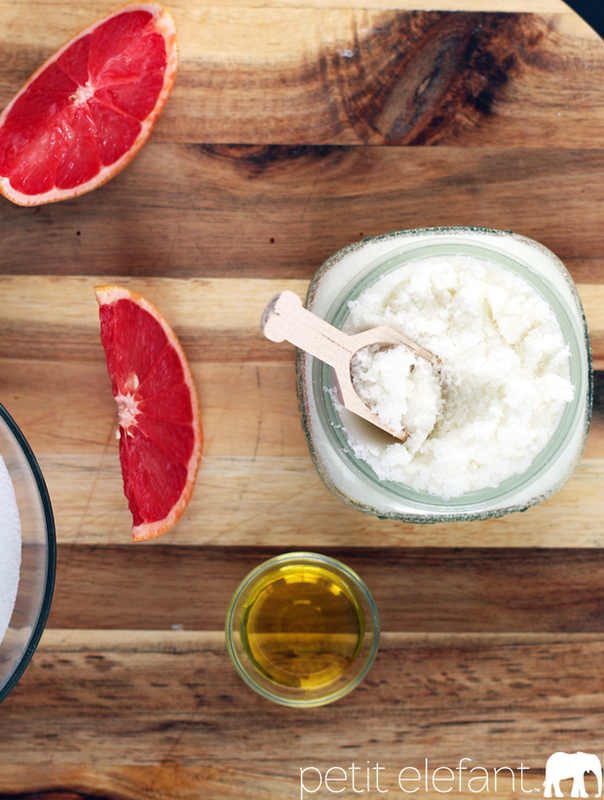 Make this DIY grapefruit sugar scrub in big batches to give to friends, or make just a little bit at a time to use for yourself. The sugar is so good for your skin, it exfoliates like crazy, and the combination of the oils makes your skin so happy and moisturized. Use this all year round for gorgeous, soft skin. P.S. This scrub makes you smell SO DELICIOUS! Nice products. Lovely post! Very well written. Keep in touch! Informative and great post.. 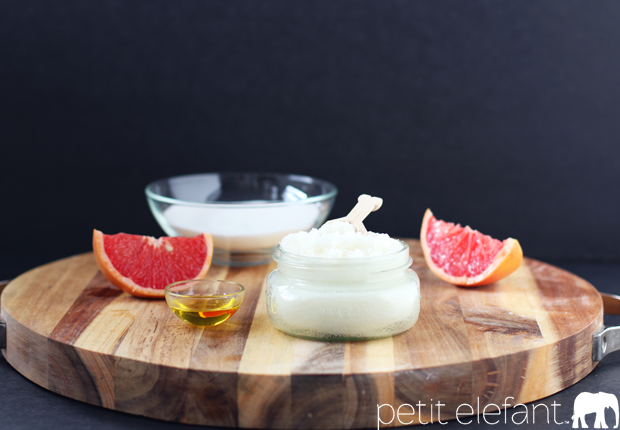 I Think grape fruit is good for skin.. thanks for share it..
Hi Allison, thanks for the great post. Keep up all the good work.